Mixing patterns can seem a bit daunting, and I agree, as it took me some time to feel comfortable to start dabbling. Mixing different textures and patterns is a fabulous way to create more variety in your outfits, giving your outfit an interesting depth which is definitely a must if you want to take a more individualistic and personal approach to dressing. Yes, mixing patterns and textures can be tricky which often result in wrong combinations that don’t look that good. This is why most people say they’d never do it. But seriously, it can look amazing if done correctly! Here are some inspirations from my own wardrobe. Enjoy the show! 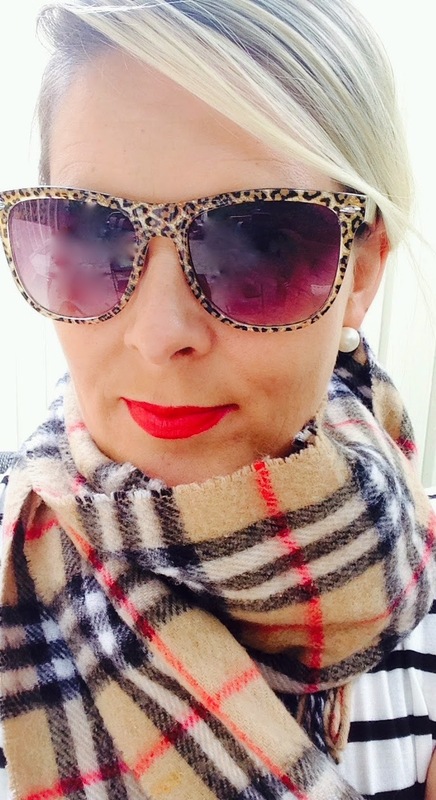 Mixing cheetah sunglasses with a burberry print scarf. They are sitting right on top of each other. I think wearing a nice red lipstick helps put some balance between the two and picks up the red in the burberry print. They are similar color tones with the brown and the black so that’s where they compliment and tie in together. Stripes and Polka Dots. My Polka Dot sweater with a longer striped top peeking out at the waist. Finished with a long black skirt to add length. White round bauble necklace to tie in with the polka dot circles and my white enamel brass bangle bracelet to boot. This is more on the daring side for me. Camo pants and a striped top. With all the print, I have tried to balance it out with some super chunky pearls. And the knee high brown boots help to take up some of that camo print on the pants. The pants are quite fitted alone and are a skinny pant, so it helps balance out my body type by adding the boots. Black and white striped body-con skirt with black heels. The cheetah print is subtle enough to add a little pizzaz. I love this fun combination and it’s another excuse for me to wear my much loved recent purchase of leopard heel pump. So much fun, I just had to add another photo! A cheetah headband helps create a chignon. Mixed with my favorite pink toned plaid shirt! For a tutorial on this, stay tuned for an upcoming Vlog. Very casual outfit. Pairing my leopard print slip on with a plaid shirt. Rolled up the pants to help it stay casual and added my cheetah print sunglasses to tie in with the shoes. Basic brown wood beads pull in the brown tones of the outfit. Some more food for thought is to give your outfit some rest by breaking it up with a basic, solid color. This makes your outfit look more balanced and modern. Basic wide belts, jackets and hosiery are great for this. Also, note that mixing two similar scaled prints is fine as long as you break it up with a basic solid. Thank you for this informational post. I am always leery about mixing patterns and textures because of everything I have heard and been told since I was old enough to dress myself. I will have to experiment now. I can't wait! Glad you liked it. I think all the rules are out the windows these days. How liberating!!! 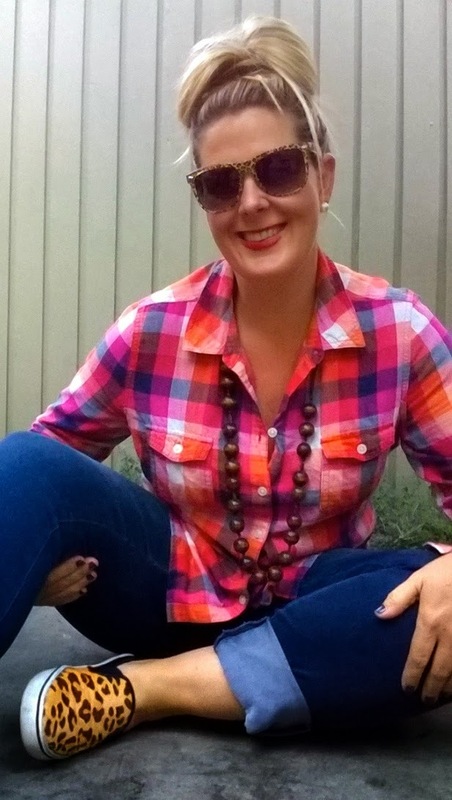 Thanks outroomtogrow, I love to mix patterns, it's a lot of fun and adds so much more choice to my wardrobe.